Clear Choice Technical Services represents many of the world’s most trusted copier brands. Our leasing and rental offers fit any budget size and require no large upfront payment. You can also choose the payment option that you deem most practical and convenient. It’s time for your business to gain that winning edge without paying too much for the latest copier technology. In today’s world, you can no longer work and succeed without the help of machines. They have become an essential part of our modern lives. Machines have made this world a better, more comfortable place. They have also become pillars of progress for most office and business operations. But when a machine collapses, its effect can also be just as enormous as its benefits. The longer it stays broken, the more productive time and money you lose. This is one of the most aggravating events in a digitized work environment. 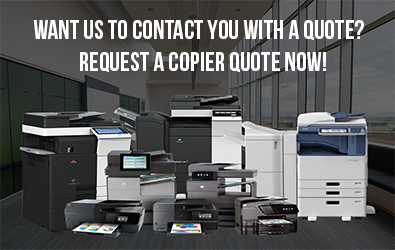 Get expert help from the people who know office equipment best whether it’s an industrial copier or a shredder. Clear Choice Technical Services provides the fastest and surest solutions to equipment troubles. We have more than 20 years of solid experience in machine repair and maintenance. Our entire fleet is composed of more than 6,000 highly-skilled technicians assigned in over 60 service locations. We are among the leading service providers in the US. Our One-Stop-Shop provides you with total convenience. It’s very easy to contact us for professional services or lease/rent/purchase of document management systems and solutions. What’s more, you can get our products at very affordable prices. Best products and maintenance services in one affordable package. Through our company’s service agreement, you will be receive a regular supply of toner and other consumables. 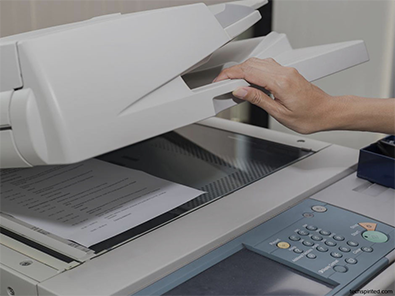 Not only that, our team of expert technicians will regularly visit and fine-tune your copy machine to ensure its all-time efficient performance. This package already includes labor, parts, and consumables which means more and more savings for you in the long run. Easy copier upgrade. You’ll also gain continuing opportunity to utilize the latest copier technology without purchasing a new model. With the newest features and functionalities, you can further enhance data management systems in your office and boost efficiency. Tax benefits. Your copier leasing cost can also be deducted as a business expense in your annual tax return. To be more competitive in this fast-evolving world, you may also want to obtain other services from our company’s specialists. Latest tech advancements are great keys to boosting business and office productivity and efficiency to remarkable heights. Call Clear Choice Technical Services at (913) 648-9878 and get the best quote! We can further show you all the advantages you can gain through a free demo trial!